This delightful collection of butterfly checks include the artwork of Artists like Anne Geddes and Lena Liu. Photography and paintings make this cute, fluttering wings check collection one of our favorites. Art on the wing, butterflies are favorite nature subjects for many people. On personal checks, they lend themselves to both realism and fantasy. Lena Liu's fanciful treatments will appeal to those who believe a good artist can improve on Nature. Who doesn't love to see butterflies with their brightly colored wings lightly dancing on blossoms of flowers? Now you can enjoy the beauty of butterflies when you order butterfly checks from Value Checks featuring artwork by famous artists. From the Lena Liu butterfly check designs, to the beautiful photography of real butterflies in serene gardens, you can find the perfect butterfly personal checks for your style. With over 50 well designed checks, our collection is something to flutter about. Whichever personal checks design you decide to buy, you're sure to enjoy our premium-quality check printing that skillfully captures the essence of the butterfly art. 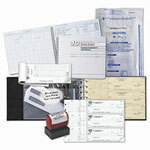 You are sure to feel peace of mind every time you write a check because of superior security standards at Value Checks. It's easy to securely order checks online and receive your checks in the mail. Don't wait to share your love for butterflies. Order today.